Taunton, Watchet, Wellington, Wells, Weston-Super-Mare, Wincanton & Yeovil. PetStay Somerset offers a “home from home” service for your dog/s, whether you’re planning a trip for business, a weekend break or a longer holiday. The benefits of home boarding are being able to tailor make your dog’s “holiday” with PetStay. We follow all your dog’s normal routines in order to make it as much like home as possible, be that sleeping, feeding or exercise. Staying with one of our brilliant carers, your dog will get lots of love and attention and will be treated as part of their family. We have many loving dog carers throughout Somerset. All carers are not only vetted by us and meet the strict criteria for home boarding set out by DEFRA and by the local authority, ensuring that your dog/s are in the safest hands possible. Before you stay with your carer we will organise a meeting, where yourself and your dog will go along to meet the carer and see your dogs’ holiday home before you book. At PetStay we never mix dogs from different households and we always match your dog to the carer best suited to their needs. In order to do this, we aim to find out as much about your dog at the initial enquiry stage allowing us to understand your dogs’ needs. From there we will then arrange for you and your dog to meet the carer in their own home. If all goes well you’re ready to make your first booking. We’ll guide you through the whole booking process and provide you with a holiday list of essential items you’ll need to pack for your dog’s stay. If you would like to apply to become a carer, we would love to hear from you. If you’re a dog lover and want to have a flexible, home based hobby that lets you work with dogs, then maybe you will love being one of our carers, looking after dogs in your own home. If you want to find out more and book a holiday for your dog, or if you want to enquire about becoming a carer and joining our team, please get in touch using the numbers or email address below. To find out more or to arrange a visit to one of our carers in the Somerset area, please get in touch using the details below. TA1 to TA24: Taunton, Bridgwater, Burnham-on-Sea, Highbridge, Langport, Somerton, Martock, Chard, Wellington, Montacute, Merriott, Minehead, IIminster areas. Yeovil, Frome, Street, Wincanton, Bruton areas. BS22 to BS29: Weston-Super-Mare, Banwell, Winscombe, Axbridge, Cheddar, Wedmore, Banwell. At PetStay Somerset we have many carefully selected loving and caring pet sitters in the Bridgwater, Minehead, Taunton, Yeovil & Wells and surrounding areas to provide a less stressful experience than dog kennels whilst their owners are away on holiday. Your dog will be matched with one of vetted and insured dog carers and will remain with them for the duration of your time away. They will ensure your dog receives all of the home comforts that they are used to and are treated as part of the family. All normal routines will be kept to ensure your beloved dog is looked after in a real “home from home” environment. Making dog sitting in Somerset a far less stressful experience than dog kennels. PetStay has been established since 2005 and during that time have gained an outstanding reputation for providing an excellent home boarding for dogs service. PetStay Somerset dog sitting service are becoming well known as the local dog sitters in the Bridgwater, Minehead, Taunton, Yeovil & Wells and surrounding areas. PetStay are fast becoming recognised as the real alternative to kennels across Somerset. 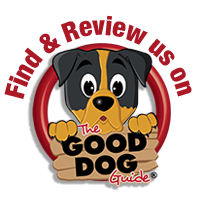 You can book with confidence knowing that we have guidelines in place to ensure that your dog is left in only the very best of hands, giving you peace of mind whilst you are away on holiday. Give Bex & Mat a call on 01823 765165. You will receive a daily allowance starting from £14 per day. Bex and her family our brilliant to say the least with our 2 dogs. Our dogs are very friendly but are still a handful! After a traumatic time in kennels, we decided never to choose that option again so found PetStay. We have no worries or concerns about them when they are away from us and always come back happy and healthy. Beau had a wonderful time again with Elaine. This helps us knowing Beau is having a good as holiday as us. Can’t rate her service any higher. Wonderful lady. After a recent stressful stay in kennels, we were really worried about what to do with our dog Poppy when we went on holiday. PetStay came to the rescue and she had a wonderful stay with Greg and Sue – I wouldn’t hesitate to recommend the service that we received and can’t thank everyone enough. To know we can go away and not have to worry makes life so much easier! I have been using Petstay since moving to Somerset last year. The bookings are always very efficient and it has been lovely to meet the people looking after my dogs in their own home. My dogs absolutely love going to the carers and its so reassuring to me to know they are having lovely walks and not in kennels. I took them to a kennels set-up once only, because they were so stressed by all the barking dogs around them for 2 weeks. One of them developed grey hairs during that time! Petstay provides home from home care with lovely kind people who adore dogs. I highly recommend it. Our much loved Shih Tzu had a good weeks holiday with her pet stay carer. She was obviously well cared for and happy. We will not hesitate to book her in when we go abroad again. Many thanks PetStay! “We were very happy with everything you arranged – Mylo got on very well with Karen and her family and enjoyed all the exercise. He seemed to have had a great time and we would definitely use PetStay & Karen again in the future. Thanks for the updates and photos whilst we were away”. “Dear Elaine, It was very comforting to know that Billy was happy and well looked after by Sherilyn. He seemed very at home and I would like to make another booking”. “We used PetStay for the first time and all we can say is thank you so much! Seth is a rescue dog and very high maintenance but thanks to Elaine he was matched with Peter and Janet who loved him like he was their own. We received emails from Seth while we were away which put our minds at ease and the photos showed Seth having a great holiday too! Peter and Janet are now friends not just dog sitters and we can’t thank them enough for how they loved our Seth in our absence. We will be using PetStay again and have already pencilled Peter and Janet in for October. Thank you again for an excellent service”. We had relatively little time to organise this stay for Odie but Elaine found us Alisdair and Angela. Our dog had a great weekend, as did we without any worries or concerns for his care. We would recommend the service to everyone without hesitation. “Hi Elaine, we are home safe and sound with Murphy and I just wanted to take this opportunity to say thank you for organising for him to go and stay with Karen. He settled well and didn’t want to come home! Karen was great and we were texting over the first couple of days which really reassured us. She said she really enjoyed having him. Thank you again and we will be sure to recommend you. Happy New Year”. “I am extremely impressed with the service provided by PetStay. My two dogs Marley and Paddy had such a lovely time and didn’t want to come home. Carers Lyn and Derek are wonderful and all the communication and updates about how they were doing from Elaine was perfect, which made my holiday more enjoyable knowing they were happy. Thank you so much”. “We were very happy with PetStay Somerset from start to finish. The website was helpful and informative. We were contacted about our needs very quickly and even though it was short notice we were offered a number of options for carers. A meeting with the carer we chose was set up smoothly and it was great to meet the whole family and see how our dogs got on with them. There were a number of forms to fill in but this did reassure us that they had all the information needed to make sure our dogs would be safe and happy. The carer was very flexible and helpful about drop off and pick up times. PetStay sent us an email while we were away to confirm that all was fine and even a few holiday snaps afterwards. The dogs were clearly happy and we felt very comfortable about their stay. All in all it was a very thorough and considerate service from PetStay and the carer. We will definitely want to use them again”. “We are very glad we are dealing with Petstay, we find them very professional and very reassuring that we can leave our pet with their vetted carers. We will certainly use them again in the future. Thank you once again PetStay”. Buddy is a regular PetStay customer so to ensure that we can accommodate him when his owner is away he has more than one carer who looks after him. He is a gorgeous big boy and is much loved by us all at PetStay. Here is what his owner recently said following his latest visit: “Now that we have found Petstay we will never consider using kennels again. Each of the carers Bud has stayed with have been absolutely wonderful and the reassuring feeling one gets, safe in the knowledge that your best friend is being cared for as part of a family, means you can enjoy your holiday without worry. I can not recommend PetStay enough”. “Lucy my Chihuahua puppy had a wonderful holiday with carer Rachel and family and their lovely dog Willow. I recommend the service as a perfect alternative to kennels. Your dog will thank you for it! “Hi Elaine, just to say how very pleased I am with how Sherilyn and Clive have looked after our Mabel – if you had searched the country you couldn’t have found nicer people of that I’m sure. Also thank you so much as I’ve said before I shall spread the word of your excellent service”. “Thank you very much for all your help in sorting the accommodation for Jones, it worked brilliantly and I was so pleased to be able to relax away, knowing that Jones was safe and well. After meeting Alison, I had no doubt that Jones would be happy staying with her, and also that she would be no problem and hopefully fun to have around. The best thing is not having to worry when you’re away, and I certainly felt very assured knowing she was with Alison. I would have no hesitation in recommending you and hopefully using Alison in the future when Jones needs somewhere safe and happy to stay”. We were very happy to leave Dylan in the care of Lyn and Derek. Dylan settled with them straight away on his initial visit, they were very friendly, calm, caring and confident in managing Dylan. When we picked him up he had obviously enjoyed his stay and we were able to relax and enjoy our weekend knowing Dylan was well looked after. We would not hesitate to use PetStay again. I came across PetStay quite by chance and decided to give Elaine a call and discuss what was involved. We met the carers Dave and Sue with our dog Leo in February at their home and were made very welcome. It was a lovely environment and I felt it would suit him very well. We have just returned from holiday and found him in great spirits. I was very anxious whilst away but in the end decided to get on with my holiday knowing he was in good hands. Dave and Sue are a lovely couple. Hi Elaine, just like to thank you for ensuring Reuben had a great holiday. John and Sue were the perfect hosts and we had no worries about leaving Reuben with them. They made him feel at home from the minute we met them. It certainly made our honeymoon far more relaxed knowing he was in such caring hands. Thank you again and please pass on our thanks to John and Sue. The entire experience with Petstay has been absolutely fantastic, right from the initial enquiry to the collection of our dog Riley after his holiday with Lyn and Derek, his carers. Elaine was really helpful, informative and matched him perfectly! We felt reassured from the off that this would be a brilliant service and we were not disappointed. Our first meeting with Lyn and Derek went well. Riley took to them immediately and settled down for a nap whilst we chatted about his routine and habits. He was clearly very relaxed! We had no hesitation agreeing to proceed with Lyn and Derek. They provided a caring home for him which suited him perfectly. On our return from our holiday Riley looked like he had been extremely well looked after. Lyn and Derek were superb, a lovely couple who we would most definitely like to place Riley with again in the future. Thank you Petstay for taking the angst out of such an important decision. Great service. We will be in touch! “We are delighted with the service received from Petstay. Everything was very well set up and Scrumpy had a great time. We were very relaxed that she was in such good hands – Thank you”. We were very pleased with the way that Baz and Belle were looked after by Pauline and her dog Jim. All of the dogs got on famously and Baz and Belle went quiet when we took them home as they were sulking – missing Jim! There is no doubt that Pauline’s house is totally focused around the dogs and that they were very well looked after – even Baz managed to lose a little weight so Pauline obviously walked them well and stuck to their diet regime. All very good and many thanks. “Finding a carer to look after our dog was not an easy task. Max is a boisterous Labradoodle who stayed with PetStay and had a wonderful 9 days vacation with long muddy walks and plenty of play time in the carer’s lovely large garden. He followed the same eating, sleeping, walking routine we have at home which meant he felt relaxed and happy. He will be looking forward to another ‘holiday’ very soon. Thank you PetStay for taking such good care of Max and giving us perfect piece of mind on our holiday. Brilliant is all we can say. From the minute our 3 year old lab Martha met Elaine and Barney we could tell she was going to be right at home with them and Elaine’s husband Kevin. Elaine couldn’t do enough to quell any worries about leaving her and Martha didn’t give us a second glance when we left her. Daily text updates were much appreciated to let us know how Martha was doing. When we picked Martha up she had obviously had a lovely time and we wouldn’t hesitate to use Elaine again and recommend her to other dog owners. It was my pleasure to meet so many of you at dog shows and summer fetes over the past year and also to welcome lots of new PetStay customers and doggy guests. PetStay Somerset office address is Dunroamin, Coultings, Fiddington, Bridgewater, Somerset, TA5 1JW. For the purposes of data protection PetStay is a data controller (ZA216812). You can verify the details you have submitted to PetStay by contacting us by email somerset@petstay.net or by post at PetStay, is Dunroamin, Coultings, Fiddington, Bridgewater, Somerset, TA5 1JW. Alternatively, you can telephone us on 07841 348813.